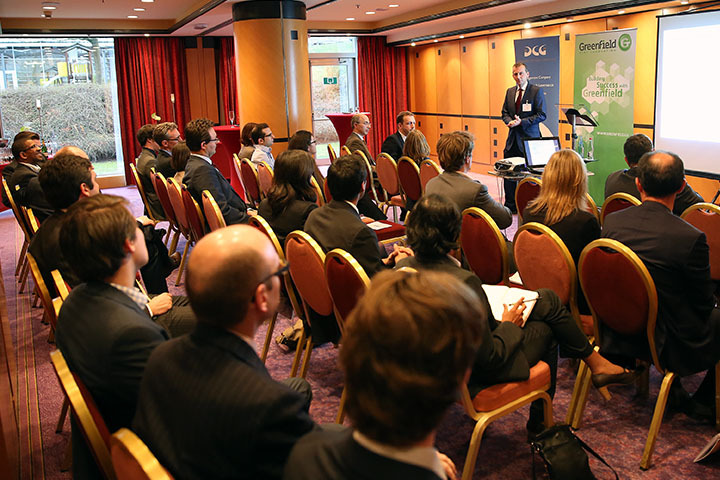 Fifty leading risk managers from Luxembourg and London gathered to get a grip on risk at the Sofitel in Kirchberg yesterday where the latest updates on regulatory, legal and risk reporting issues were discussed. The evening included three presentations by specialists within the fields of risk reporting, risk regulation and risk oversight, followed by networking drinks where enthusiastic discussions about developments in the risk management industry continued. “In a post Madoff-Lehman’s world, in conjunction with the lingering European banking crisis, all banks and investment funds have had to review and often improve their internal risk management procedures,” reported Jim Kent, Partner of TheINsiders and moderator for the evening. The term ‘risk management’ has come to cover a broad range of activities within the financial sector. Especially within Luxembourg Investment Funds, regulatory developments driven by the AIFMD and the recent CSSF circular 12/546 have obliged many funds to increase substance and meet a higher standard of corporate governance than before. “The risk management function has become essential to ensure funds are meeting the new substance and corporate governance requirements, which have become a central theme for many in the industry,” noted Daniela Klasén-Martin, MD of DCG, and the first of the speakers to give a presentation at the event. It is not just regulatory approval that is driving the market as sophisticated investors have also increased their expectations on the type of data provided by funds. “Risk approaches are evolving: after all the same models that failed to predict past crises cannot be expected to apply accurately to alternative funds,” stated second speaker, CEO of Systemic, Aristides Protopapadakis. “In a world of increasing regulation where new players will intervene, it is key to determine the extent of the liability of each of the intervening parties and who is ultimately liable,” commented David Louis, Partner of law firm Speechly Bircham, who rounded up the evening’s presentations with an informative discussion about where liability starts and stops.